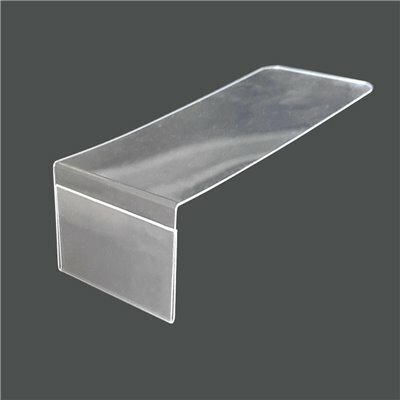 Acrylic sign holders are ideal for informing customers of sales and increasing foot traffic with seasonal promotions, making signage highly visible for customers and easy to replace for retail professionals. 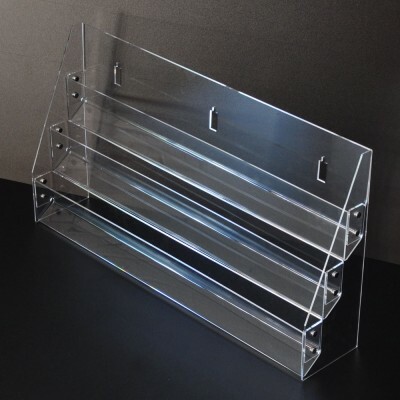 Acrylic sign holders are a fundamental part of your brand’s retail marketing and promotion and aid in continually building revenue. 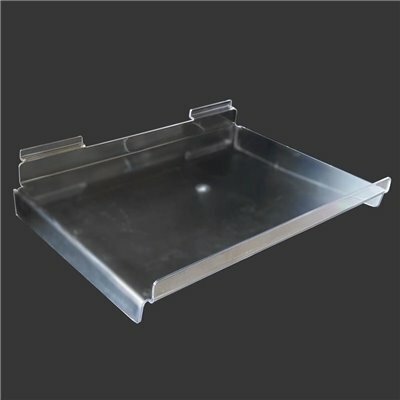 We have table top sign holders for every application, providing an efficient way to present information. 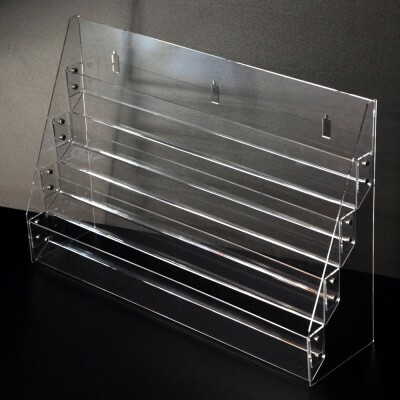 Our eye-catching acrylic top-load design holders make your announcements, promotions, and messaging visible from a distance with further messaging opportunities at the base of the sign holder. 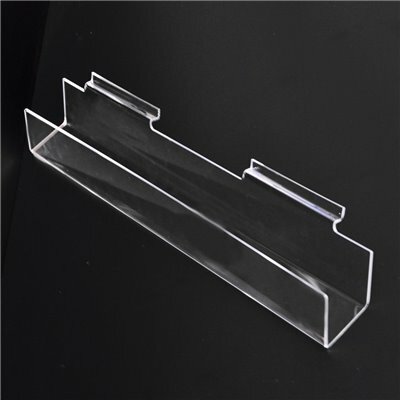 Crystal-clear acrylic material ensures consideration from your customer, creating the edge needed to stand out from the competition. 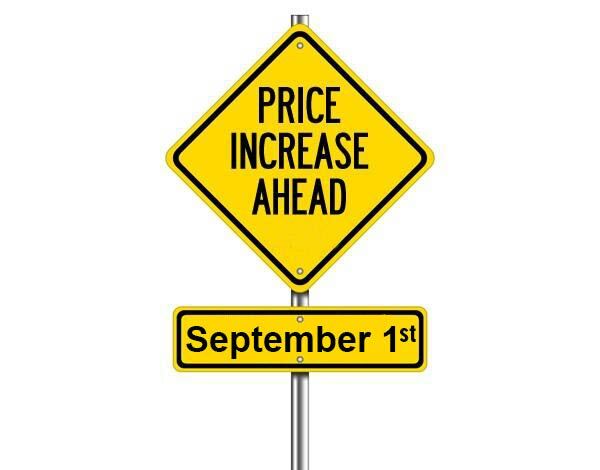 Top-load design makes it simple to refresh your messaging. 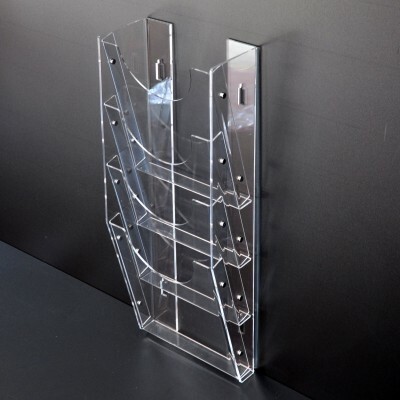 Acrylic Wall Mounted Brochure Magazine Holder 4XA4 This holder can be either wall mounted or hanged on the slatwall with Slat-wall Picture Hooks - SPA-HP Overall size 260(l)x120(d)x620(H)mm Clear Acrylic - 5mm thick on the sides and 3mm thick sleeves. 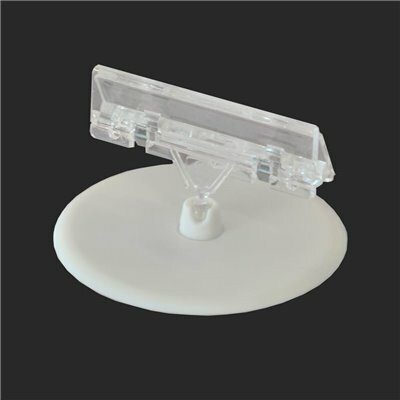 Acrylic Wall Mounted Brochure Magazine Holder 8XA4 This holder can be either wall mounted or hanged on the slatwall with Slat-wall Picture Hooks - SPA-HP Overall size 260(l)x120(d)x1080(H)mm Clear Acrylic - 5mm thick on the sides and 3mm thick sleeves. 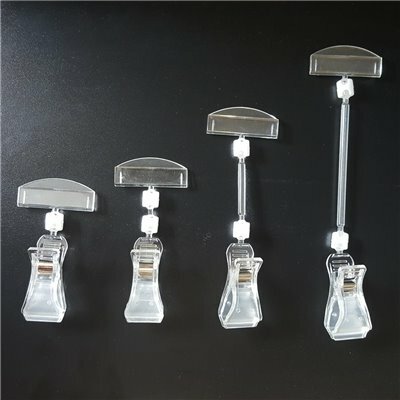 Acrylic 3 Stairs Display This holder can be either free standing, wall mounted or hanged on the slatwall with Slat-wall Picture Hooks - SPA-HP Overall size 600(l)x120(d)x330(h)mm Each compartment is 36mm deep Clear Acrylic - 3mm thick. 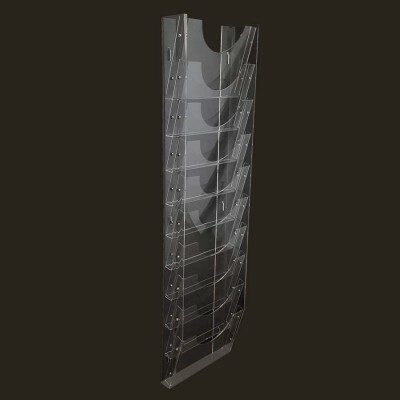 Acrylic 4 Stairs Display This holder can be either free standing, wall mounted or hanged on the slatwall with Slat-wall Picture Hooks - SPA-HP Overall size 600(l)x120(d)x330(h)mm Each compartment is 36mm deep Clear Acrylic - 3mm thick. 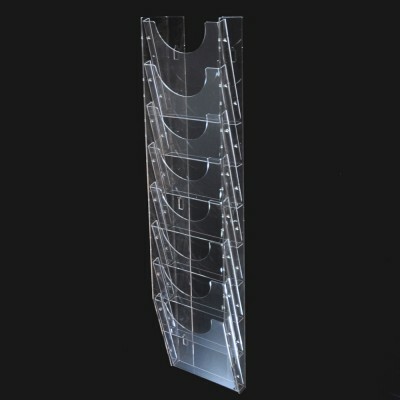 Acrylic Wall Mounted Brochure Magazine Holder 10XA4 - Landscape This holder can be either wall mounted or hanged on the slatwall with Slat-wall Picture Hooks - SPA-HP Overall size 32.5(l)x11(d)x125.5(H)cm Clear Acrylic - 5mm thick on the sides and 3mm thick sleeves.